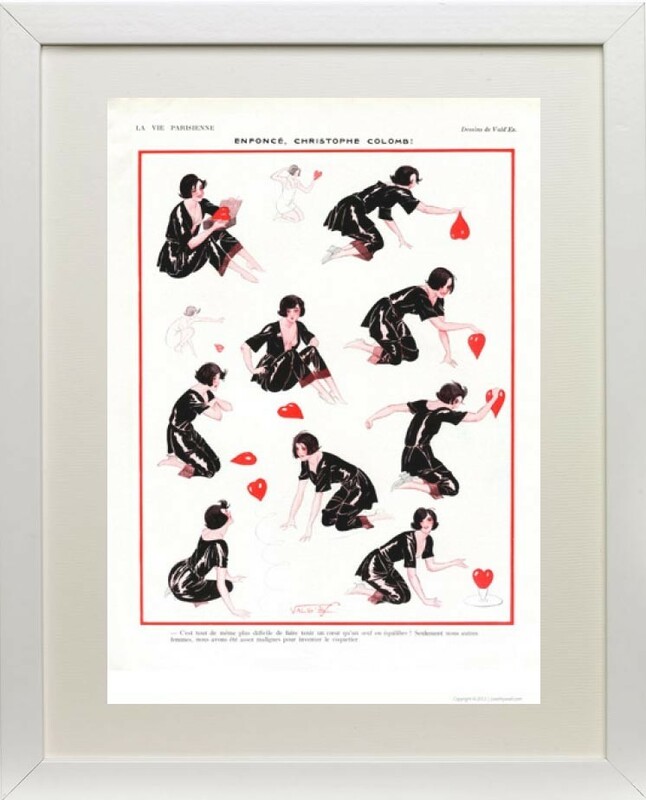 Vintage Art Deco La Vie Parisienne print showing a woman trying to balance a heart. An ideal valentines gift. 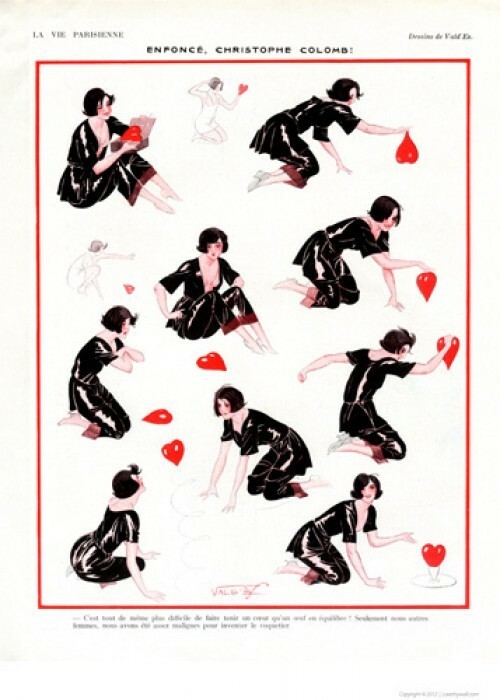 1923 La Vie Parisienne vintage print of a woman playing with hearts. 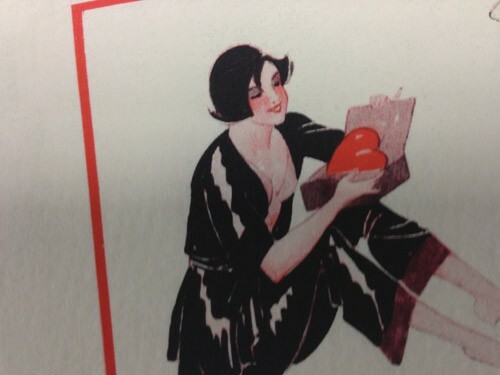 An ideal valentines gift. 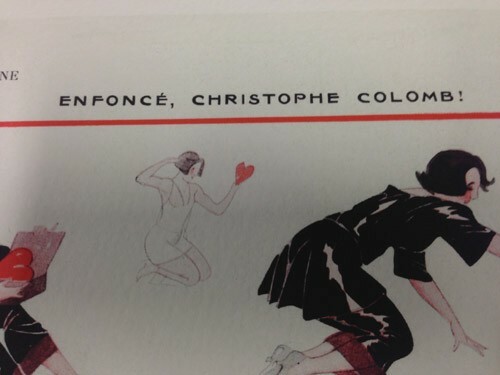 French Text : Enforce, Christophe Colomb! C'est tout de meme plus difficile de faire tenir un coeur qu'un oeuf en equililbre! 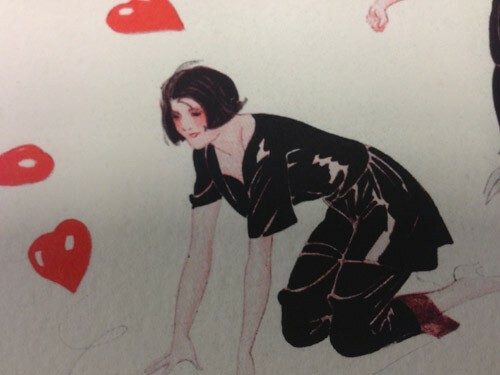 Seulement nous austres femmes, nous avons ete assez malignes pour inventer le coquetier. Translation : Enforce Christopher Columbus! 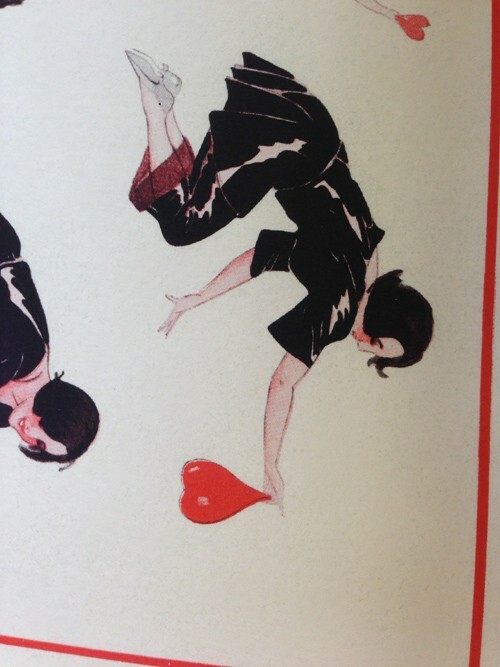 It is nonetheless more difficult to hold an egg than to balance a heart! Only austere women, have been quite malignant to invent the egg cup. 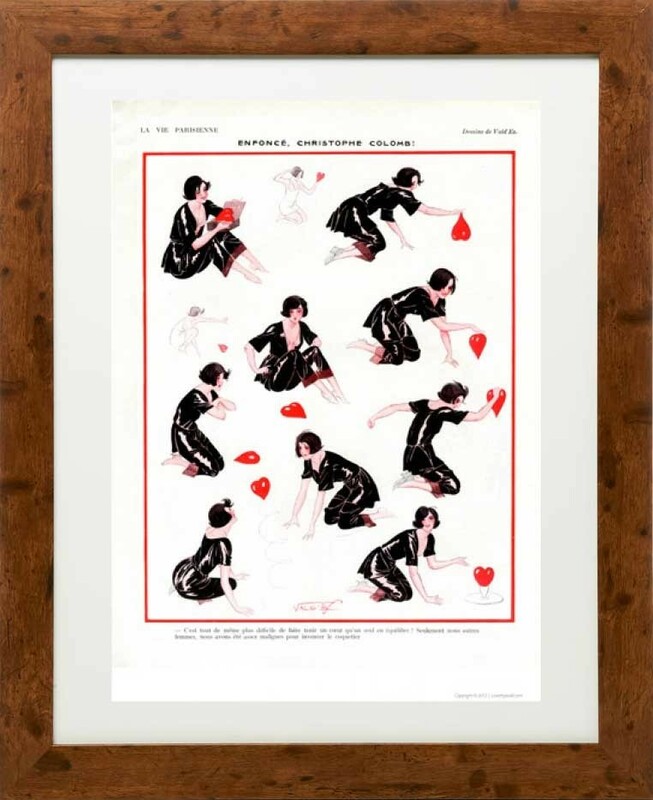 This French Art Deco print is shipped flat to preserve its quality. It measures 14" x 18" (35.6cm x 45.7cm), slightly larger than A3. Framed photos are for illustrative purposes only.